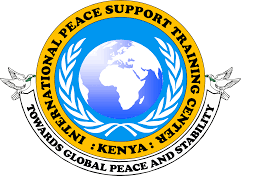 PSTC became a separate Kenyan MOSD establishment in July 2006 and in 2008, initial efforts towards “internationalization” were made. In 2009, PSTC Karen merged with International Mine Action Training Centre (IMATC) to form one centre, International Peace Support Training Centre (IPSTC). The former PSTC was renamed to Peace and Conflict Studies School (PCSS) and IMATC renamed to Humanitarian Peace Support School (HPSS). In 2011, IPSTC achieved autonomy through formal partnership arrangements with USA, UK, Canada, Japan, Kenya, Germany and UNDP.